What should I do before my tonsillectomy? 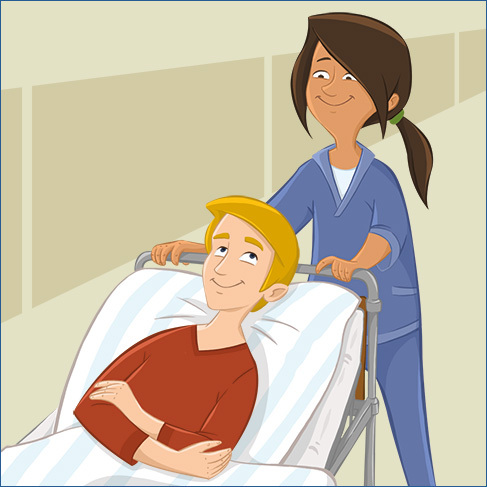 PREPARE - Properly preparing for a tonsillectomy can help ensure a positive outcome. Preparing for the return home is also important. Your doctor might suggest purchasing soft foods and having a vaporizer handy for moist air. Have a tablet (paper or electronic) to write notes if patient's throat is too sore to talk. RESEARCH - Read the articles on this site and know the options for surgery. Make sure any medications the patient currently takes are compatible with medications that may be prescribed by doctor. Advise your doctor about these medications prior to surgery. SPEAK UP - The patient should ask their surgeon any questions they might have, regardless of how simple they might seem. The more informed a patient is, the better the outcomes and expectations. What happens during my tonsillectomy? 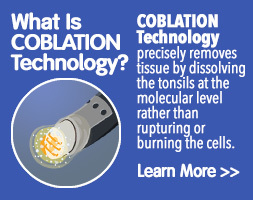 The COBLATION◊ procedure is typically performed as an outpatient procedure. It is almost always done under general anesthesia and usually only lasts about 30 minutes. The surgeon uses a special COBLATION handpiece (commonly referred to as a COBLATION wand) to remove the tonsils and adenoids. Most patients go home the same day. Consult with surgeon for details on their surgical process. What happens after my tonsillectomy? Where can I find a COBLATION surgeon near me? 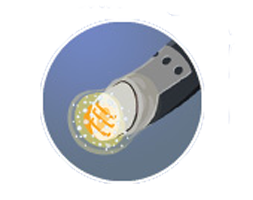 Use our Physician Locator to find a surgeon nearby who uses COBLATION technology for their tonsillectomy procedures.